I could have told them on December 1st that the risk of severe weather during winter 2017/18 was 20%, significantly higher than anything I’ve seen since making my long range forecasts in 2013, the risk usually being 2% to 5%. 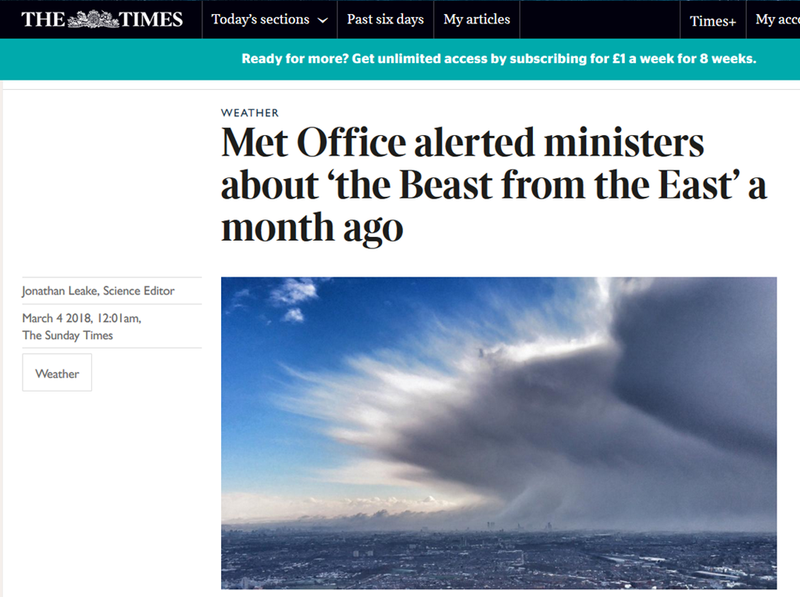 Also in December, when the first cold spell struck, the Met Office said there was a risk of cold and snowy weather lasting to the end of the month. Within days, however, that risk vanished and the weather turned mild. Those Met Office outlooks seem to change with every GFS operational run. In other words any idiot with a modicum of knowledge on model output could make the same forecast!